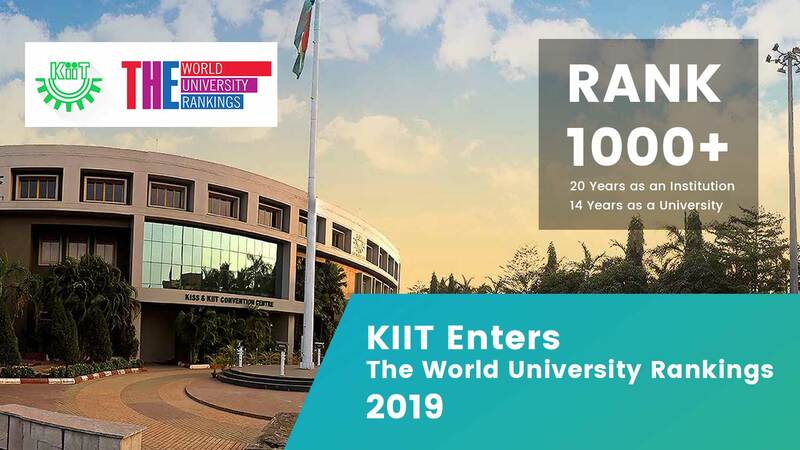 As KIIT enters the prestigious Times Higher Education The World University Rankings 2019, the entire staff and students fraternity of KIIT have become very much happy to get a place in this coveted and awaited ranking, at an exalted position of 1000+ despite being a very young University. In fact, KIIT is just twenty years old as an institution for professional Education(1997) and 14 years old as a University(2004). Remarkably, it is the only self financial University in Eastern India to enter into this ranking besides IITs and NITs. It’s possible because of the blessings of the Almighty coupled with the hard work and relentless efforts of the staff and students. Starting with just RS. 5000 in 1997, it has a global recognition and acclaim and has got a place among the top 1000 universities of the world. “I’m personally very happy and thank Almighty for this achievement. I congratulate all the Staff and Students and wish them to keep up the good work as Sky is the limit”, said Dr.Achyuta Samanta, Founder of KIIT & KISS.